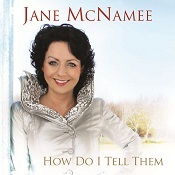 One of Ireland’s finest female singers Jane McNamee releases her long awaited new album How Do I Tell Them. It follows the success of her debut album ‘Acoustically Yours’ released last year. The title track ‘How Do I Tell Them’ is Jane’s first venture into song writing which was motivated following the sudden tragic death of her brother. 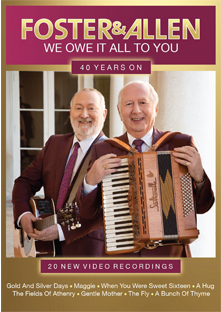 How Do I Tell Them also includes well known standards like ‘Dreaming My Dreams With You’ and ‘Don’t Let Me Cross Over’ as well as a duet with Charlie McGettigan featuring a new original song written by Charlie entitled ‘Comfort In A Song’. Describing her singing style as ‘folk / blues and contemporary’, Jane has been a long time admirer of Crystal Gayle and more recently Imelda May. She is also strongly influenced by the singing of Mary Black and Maura O’Connell.